When you choose your domain name, you must respect the trademark rights of other parties. If your domain name infringes on someone’s trademark, you may be held legally responsible for it. You can avoid that liability by understanding the legalities tied to trademarks and trademark infringement. Trademark Defined. A trademark is a distinct symbol, logo, word, or multiple words that are legally registered or established through their use as representing a company or product. In short, a trademark is any design/logo or word(s)/name used to promote a business. Trademarks are protected under federal and state law. To ensure maximum protection and the right to exclusive use of a trademark, the trademark should be registered with the United States Patent and Trademark Office (USPTO). If the trademark has not been registered with the USPTO, the unregistered trademark belongs to the first commercial user of the trademark. Trademark Infringement. 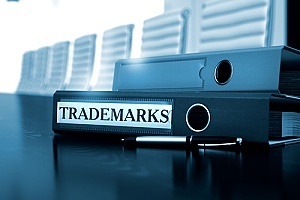 Trademark infringement occurs when someone uses another person’s or company’s trademark or service mark on or in connection with goods and/or services in a manner that is likely to cause confusion, deception, or mistake about the source of the goods and/or services. In simple terms, you cannot put someone else’s logo on a product you are selling without permission from the owner of the logo. Sometimes, two trademarks are similar to each other, though not identical. If two trademarks are similar enough to cause confusion, the later user must cease using it and may have to pay damages to the rightful trademark owner. 1. Domain Name Choice in Bad Faith. A business registered a domain name that was already trademarked by a competitor but had not yet been registered as a domain name. The motive in registering a domain name that uses an already trademarked name usually is obvious: to lure potential customers to the site and induce customers to buy products thinking they were the competitor’s products. In such cases, the owner of the domain name unfairly benefits from the deceptive domain name. Courts will find the domain name constitutes trademark infringement. 2. First to Register in Good Faith. A business had an innocent and legitimate reason for using a famous mark as a domain name and was the first to register it. In those cases, that business should be able to use the domain name, provided that it has not otherwise infringed upon the trademark. In one case, for example, the business reserved the domain name six years before a competitor attempted to register the name. 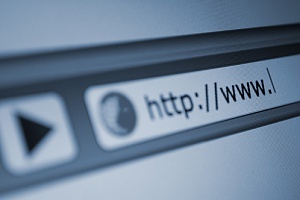 The court found that the first company to register the domain name had a legitimate reason for owning the domain name and was not opportunistically trying to capture value by seizing a well-known mark. 3. Cybersquatting. A person or business lacked a legitimate claim to a domain name, but registered a trademarked domain name with the sole intent to sell the name, prevent the trademark holder from gaining access to the name, or divert traffic to the domain’s site. This is a practice known as “cybersquatting”. The courts rule against such cybersquatters based largely on the squatter’s bad faith. Take care to avoid trademark infringement liability when choosing your domain name. The best way to do that is to work with a litigation and dispute resolution attorney with experience in trademark infringement litigation. Search the trademark database of the USPTO at www.uspto.gov. The USPTO database contains all registered trademarks and all trademarks for which registration is pending. Search this database before you decide on your domain name. You should search not only for your proposed domain name, you also need to search for other names, words, or marks that are obvious close synonyms and variant spellings, such as “baloney” and “bologna”, and “baskets” and “basketry”, and “medicines” and “medicine”, and so forth. Search the Internet at large and any business name registers in your state. Keep a record of your searches, including the time, date, source, and search terms used. Whether your website will compete with the owner of the similar domain name. Whether your website will offer goods or services that typically are distributed in the same channels as the goods or services being sold under the similar domain name. Whether your website could divert business away from the site with the similar name and your proposed domain name is so similar to the other domain name that users might end up on your website by mistake. 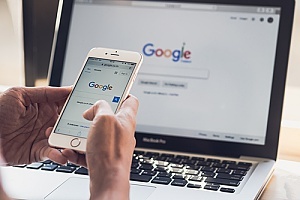 If you are already using a domain name and are worried you have already violated trademark infringement laws, you should contact an attorney for advice on the steps you need to take to mitigate your exposure and possible liability. The attorney can help negotiate an agreement with the trademark owner to create a business relationship with you and license out the trademarked domain name to you. On the other hand, you may have to stop using the domain name and choose another one. Before you select a domain name, make sure you are not subjecting yourself to claims for trademark infringement. If you already have a domain name but are not sure whether it is a protected trademark, a litigation and dispute resolution attorney can help you determine that and guide you through the appropriate steps. Call now for a free consultation about your case.